In anticipation of the United Kingdom's possible departure from the European Union, we may need to make some changes to the process for returning your kit to the laboratory for customers located in the United Kingdom. Currently, sample collection kits mailed from the United Kingdom are first sent to our distribution warehouse in the Netherlands before being shipped in bulk to our laboratory in the United States. In the event that the United Kingdom leaves the European Union, the original shipping material will no longer be valid and new shipping materials will be needed. At that time, updated instructions on how to return sample collection kits from the United Kingdom will be emailed to customers affected by this change. 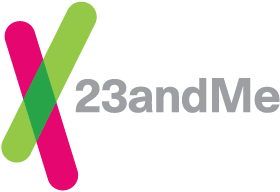 23andMe encourages customers located in the United Kingdom to return their sample collection kits at their earliest convenience. At this time, the original shipping material can still be used to ship return sample collection kits from the United Kingdom.